The Grateful Dead rose out of San Francisco's '60s underground rock scene with an unprecedented sound and image. Its members, steeped in rock, folk, classical, and blues; their instrumental prowess; and their refusal to bow to commercial conventions helped originate jam band music. Unapologetic in its advocacy of drug use as a means toward mind expansion, the Dead helped catapult psychedelic music. After performing at the Monterey International Pop Festival and Woodstock, the group became iconic without ever scoring a hit single. A large, devoted fan base - Deadheads - began to follow the band everywhere. The group suffered a tragedy when bandleader Jerry Garcia slipped into a coma in 1986, but returned the next year with a top-selling album and surprise hit single, Touch of Grey. By 1993, the Dead was the top-grossing live act in the United States. The band ended when Garcia died in 1995, but the music lives on with a stream of live releases. 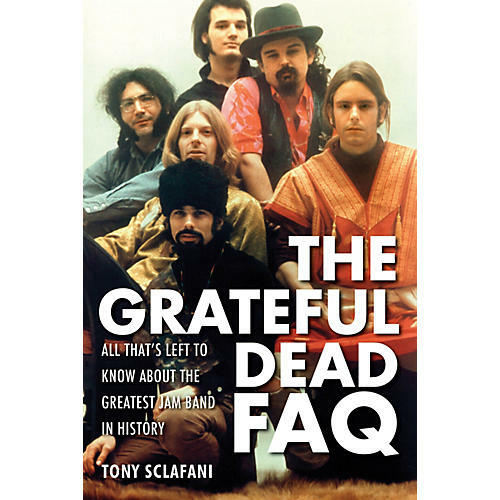 In Grateful Dead FAQ, Tony Sclafani examines the band's impact and influence on rock music and pop culture. This book ventures into unexplored areas and features a host of rare images, making it a must-have for both Deadheads and casual fans.